Convert AVCHD/M2TS/MTS videos to iTunes easily and quickly on Windows/Mac. Transfer videos from PC/Mac to iPhone/Android devices via a USB cable. Edit videos with trimming, cropping, rotating, adding watermarks, applying effects, etc. Maybe your camcorder records videos in AVCHD MTS or M2TS formats. In this case, if you want to put them to your Apple devices like iPhone, iPad or iPod to share with your friends and family, you would get a headache. That's because AVCHD MTS or M2TS is incompatible with most of the applications and devices, including iTunes and Apple devices. So if you want to use iTunes to manage MTS or M2TS files or sync to Apple devices, you have to convert MTS or M2TS to iTunes supported formats first. This article will tell you some AVCHD M2TS/MTS to iTunes converters. You can use all of them to convert AVCHD M2TS/MTS to iTunes compatible formats. Just read this article to get your best iTunes video converter. Wondershare UniConverter (originally Wondershare Video Converter Ultimate) is the ideal tool to realize your goal. 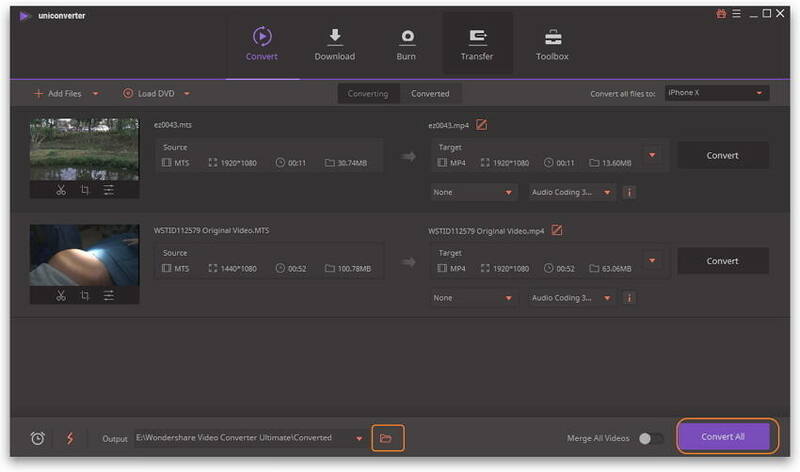 It not only gives you the ability to convert MTS or M2TS to an iTunes compatible format like MP4 effortlessly, but also allows you to cut, crop, merge and edit your files with its built-in video editor. With it, you can save and enjoy your previous memory with the perfect effect. That's how. Professional video converter: This iTunes converter supports converting 1000+ video formats. You can use it to convert M2TS/MTS to all the formats supported by iTunes like MP4, MOV, M4V. High output video quality: The converted videos are in high quality. It will keep 100% original video quality. Powerful iTunes video burner: You can take this tool to burn video in any format to DVD and apply the multiple menu templates to make your artwork professional. 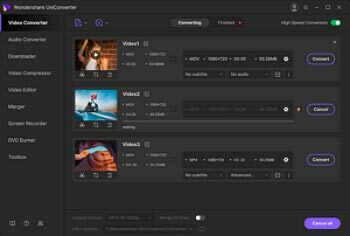 Versatile toolbox: video metadata editor, GIF maker, cast video to TV, video compressor, and screen recorder. Step 1 Add AVCHD files to the MTS to iTunes converter. After you've connected your camcorder to the computer, you can import the AVCHD/M2TS/MTS files to this app. To do it, you can click the drop-down icon beside Add Files button (under the Convert tab) and select Add from Camcorder to navigate to the place where your files are stored and then import them. Or directly drag them to this app. After that, your files will be shown in thumbnails in this app. Step 2 Choose an iTunes compatible format as the output format. M4V is one of the formats iTunes supports. You can select it from this app output list. To open the output list, just click the icon from the Target box, then go to Video > M4V category and choose your desired resolution. Of course, you can go to Device > Apple category to select one optimized format, which is fully compatible with iTunes. Step 3 Edit your AVCHD M2TS MTS files (Optional). There are always some of your unwanted clips in these footage files. 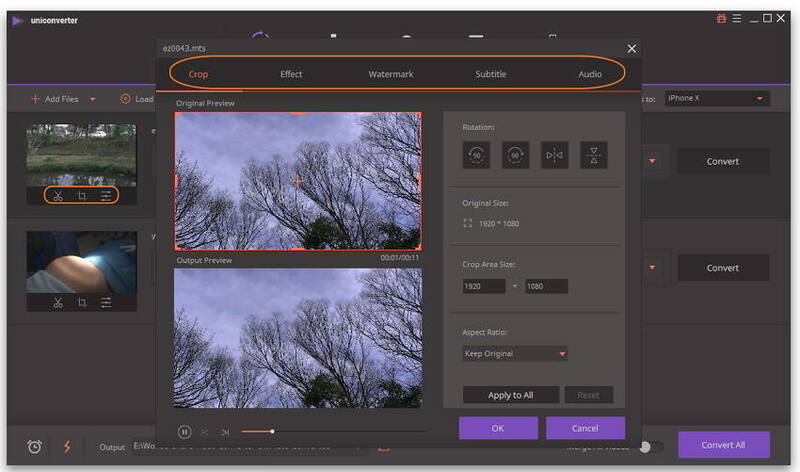 In order to keep your sweet memory better, you can use this app's editing function to crop, cut, merge videos, add some cool effects, add subtitles, etc. Step 4 Convert MTS/M2TS to iTunes. After previewing the effect in the Preview window, you can start to convert files for iTunes if you are satisfied with effects. Just press the Convert All button and then let this app do the rest things for you. 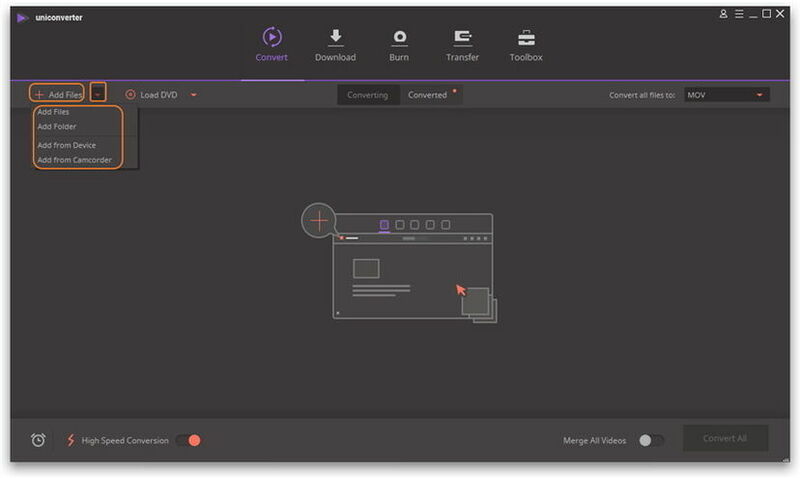 This is a free desktop video converter for both Windows and Mac system, it also supports most common video formats like MP4, MOV, AVI, WMV, MKV and others. 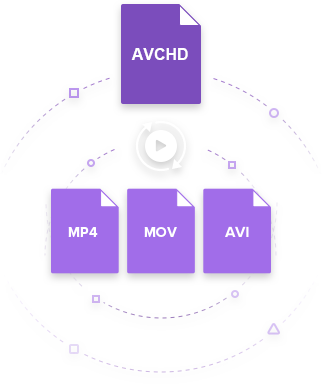 You can easily convert AVCHD videos to any format you want with easy steps, just add files and choose target format to start conversion. Also, you can make editing features like trimming, cropping, rotating, adding watermarks as you like. Download this free AVCHD to iTunes converter and convert your videos for free. Clean and free AVCHD M2TS/MTS to iTunes converter, capable of converting, editing and downloading videos. 1. This free AVCHD M2TS/MTS to iTunes converter only can convert videos with watermark. 2. It can't remove iTunes DRM protection. It means that the iTunes purchased video can also be imported to other formats for viewing on other portable devices. 3. You can only use it to free burn your AVCHD M2TS/MTS video to DVD with a watermark. 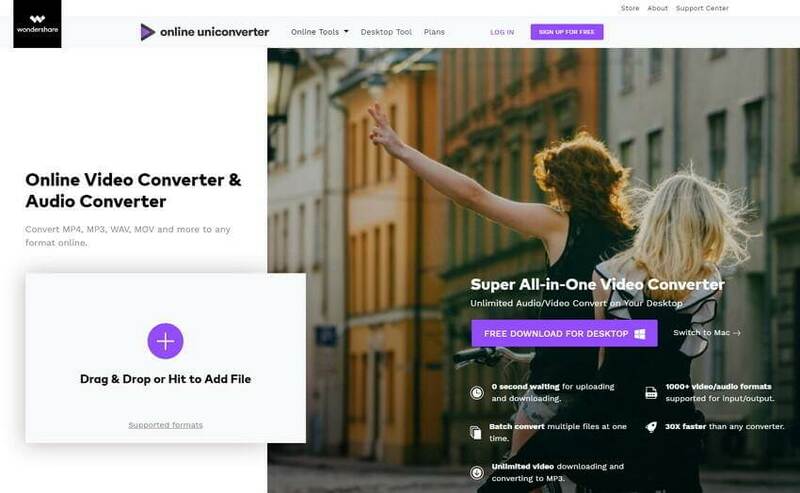 You can use the free online video converter Online UniConverter (originally Media.io) below. It converts videos to almost any format for free. 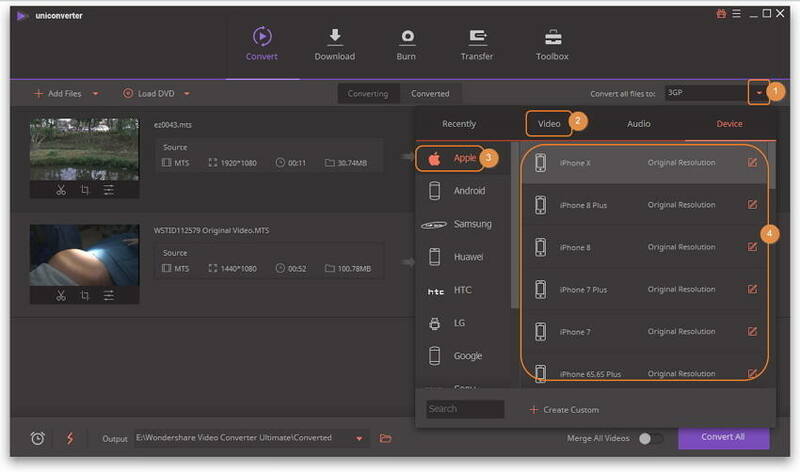 You can transfer your camera AVCHD videos to your PC/Mac, and then open Online UniConverter to start converting them to the iTunes compatible format without any trouble. 2. Totally free conversion without any ads and watermark. 1. Has a limitation on the uploaded file size. 2. Convert no more than 2 files at a time. 3. The converting speed depends on your network connection. 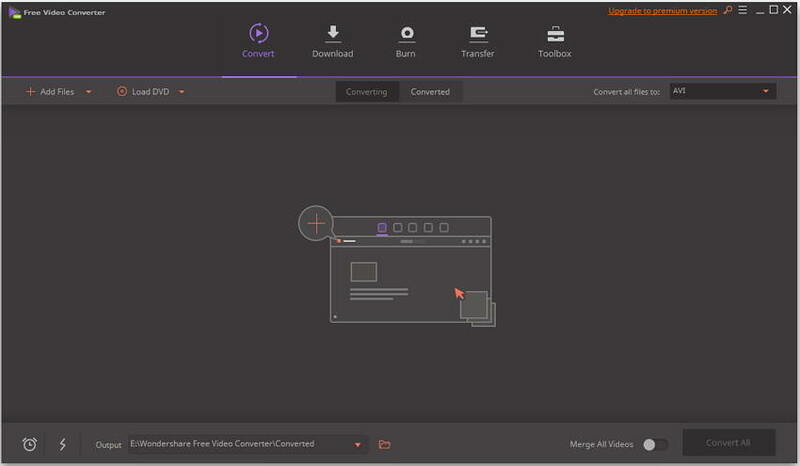 At last, we recommend you to use Wondershare UniConverter (originally Wondershare Video Converter Ultimate) as you best AVCHD/M2TS/MTS to iTunes converter, as it's multi-functional, high-quality, easy to use, and more other features. Free download and follow the steps in Part 1 to convert videos easily.